The Husqvarna Svartpilen 401 And Vitpilen 401, have finally landed in India. 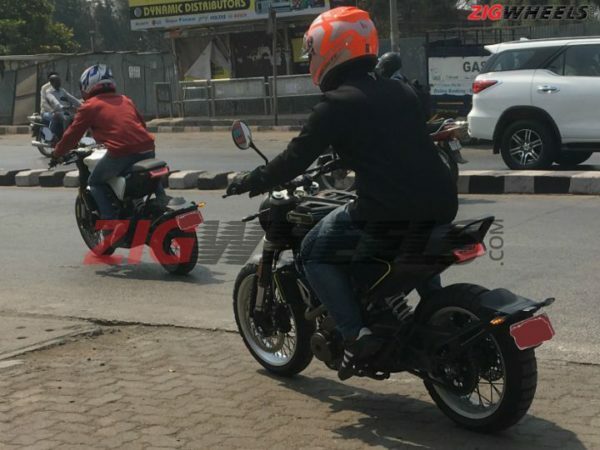 Both the motorcycles were spotted in showroom ready form in Pune. 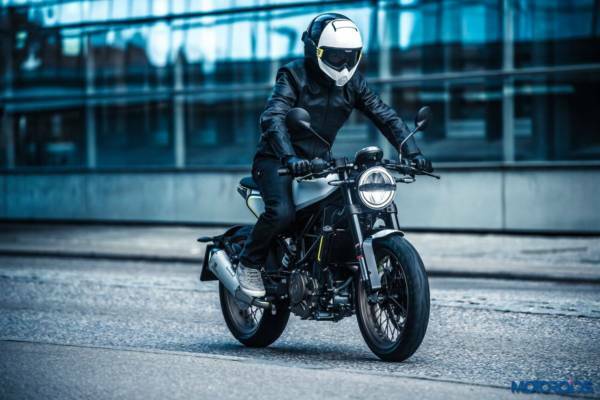 The production spec Husqvarna Vitpilen 401 and Svartpilen 401, which were first unveiled at the 2016 EICMA Milan, would be based on the KTM 390 Duke. Both the motorcycle would be manufactured at Bajaj’s Chakan plant in India and thus we expect the Svartpilen 401 And Vitpilen 401 to arrive at competitive prices. As reported earlier, KTM CEO Stefan Pierer had acquired the Husqvarna brand from the BMW Group back in 2013 and later renamed it from Husqvarna AG to Husqvarna Motorcycle GmbH. The Vitpilen 401 is a cafe racer while the Svartpilen 401 is a Scrambler and thus, both motorcycle get their respective designs. So while the Vitpilen 401 gets sleek bodywork, and clip-on handlebars, the Svartpilen 401 features a rugged persona. 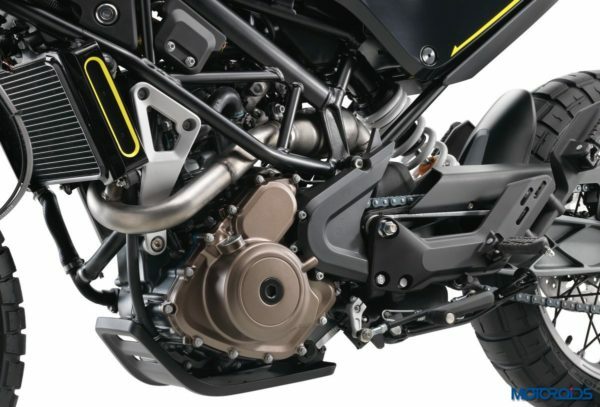 Both motorcycles will be built around a trellis frame and feature WP upside down forks upfront, a monoshock at the rear, and Bosch 9.11MB two-channel ABS system. 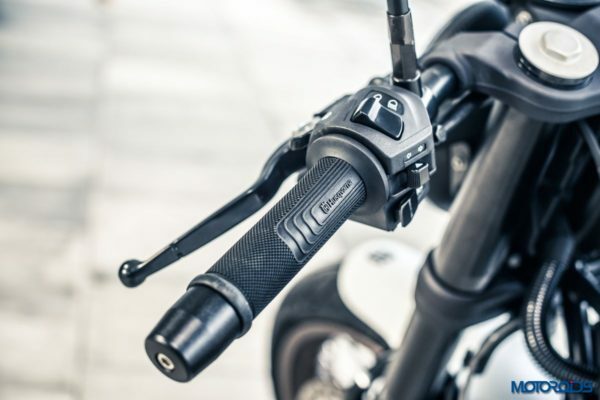 However, the Vitpilen 401 will feature street-focused Metzeler M5 tyres while the Svartpilen 401 will come equipped with off-road spec rubber with knobby pattern. Mechanical specifications would be shared between the two as both, the Vitpilen 401 and the Svartpilen 401 will use the 2017 KTM 390 Duke sourced 373.3cc single-cylinder, liquid cooled engine that’s tuned for 44.1 PS of power and 37 Nm of torque. Will the engine be tuned for better low- and mid-range? We certainly hope. When can we expect the motorcycles to arrive in India? 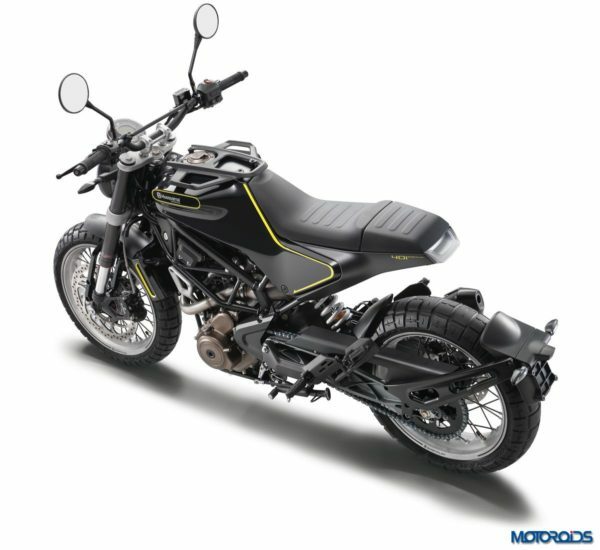 While there is no official statement from Bajaj or KTM about the India launch of the new Husqvarna duo, we expect to see the motorcycle in showrooms by the second quarter of FY2018-19. We’re definitely excited for these two motorcycles. What about you? Let us know your views through the comments section below.